Bell Pottinger has collapsed into administration in the UK after running a racially charged PR campaign in South Africa. The troubled public relations firm put itself up for sale last week, but could not find a buyer. The administrators BDO said the firm had been "heavily financially impacted" by the scandal. The level of its losses and the inability to win new clients left the firm with no other option, BDO said. Bell Pottinger was ejected from the UK's industry body last week for a PR campaign that emphasised the power of white-owned businesses in South Africa. A string of clients, including HSBC, Investec and luxury goods company Richemont, cut ties with the firm over its work on the campaign. Bell Pottinger filed plans to appoint three BDO administrators on Friday, and the appointment became effective on Tuesday. A BDO spokesman said: "Following an immediate assessment of the financial position, the administrators have made a number of redundancies. "The administrators are now working with the remaining partners and employees to seek an orderly transfer of Bell Pottinger's clients to other firms in order to protect and realise value for creditors." 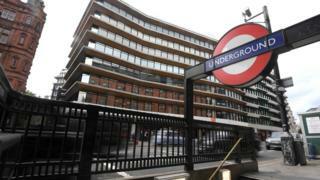 Bell Pottinger's Middle East and Asian units had already announced plans to separate from the UK parent company. The PR firm worked on the controversial campaign for Oakbay, a company owned by the wealthy Guptas family in South Africa. The work was criticised for presenting opponents of President Jacob Zuma and the Guptas as agents of "white monopoly capital". Bell Pottinger and its co-founder, Lord Bell, had a reputation for taking risks. Lord Bell, who was a PR adviser to Margaret Thatcher, resigned from the firm last year. The company represented Oscar Pistorius, the South African Olympic athlete, after he was charged with murder. Belarusian dictator Alexander Lukashenko has used the firm's services, as well as Syria's first lady Asma al-Assad. In the late 1990s the PR firm worked on a campaign to release former Chilean dictator General Pinochet after his arrest in London on a Spanish extradition warrant on murder charges.